Dave is a Licensed Marriage and Family Therapist (LMFT40409) and joined the CPCC staff in 2000. 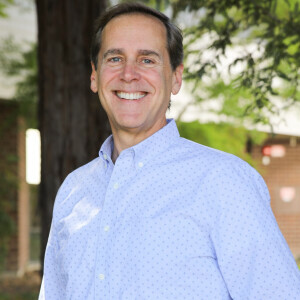 Dave has a Master of Arts degree in Marriage and Family Therapy at Western Seminary, a B.A. in Psychology from the University of Notre Dame and a M.B.A. from Cal State Long Beach. In 2014 Dave became licensed as a Licensed Professional Clinical Counselor (LPCC1103). As an interactive therapist, Dave creates a strong working alliance with his clients and his style is warm, direct, and depth-oriented. Working collaboratively, he believes in establishing clear goals for treatment and he uses a blend of therapeutic approaches to most suit his clients and their presenting issues. Parenting issues and improving family communication and dynamics, including estrangement. Prior to entering the counseling field, Dave spent 15 years in various sales and executive management positions within corporate and retail banking. He and his wife of 35 years are happy “empty nesters.” They spend much of their time visiting their children and adorable grandkids in Southern California.